Over the past couple of weeks, the media has highlighted the end of the relationship between Prince Harry and Cressida Bonas citing that the relationship ended due to Cressida’s “needy” behavior. I’m hear to tell you that there really is no such thing as “needy,” only unmet needs. Hearing men call the woman they are dating “needy” is a huge pet peeve of mine. Often these men are using this word to describe their girlfriend as needing more emotional support than they can provide. Fair enough. We can only do what we can do. Yet, the answer behind why this phenomenon happens is not something most men want to hear. It is simply easier to label their date or girlfriend as having issues. In reality, even the most stable woman can become “needy” when her emotional needs are not met and she’s in the wrong relationship. This is simply due to biology. We all have a need to turn to someone when we feel distressed or scared. When we have had experiences in our life where other people have responded to our needs in an appropriate manner, we quickly recover and are able to securely move forward. When we haven’t had these experiences or have been through a traumatic break up (and who hasn’t by the time you turn 30), we can become worried about other people leaving us. This anxiety can cause people to act out and it is that behavior that we refer to as “needy.” And it is usually in response to someone else’s avoidance or insecurity about what they want out of the relationship. So the question is, how does one cope with someone who is demonstrating “needy” behavior? If you are feeling very turned off by someone’s “needy” behavior and are having trouble seeing it from a neutral place (without judgment), you may need to look at why it may be so hard for you to be in an intimate relationship. Many times men fear the loss of their independence without understanding that it is not independence that makes for great relationships, it is interdependence. By moving toward interdependence, you may actually be able to squash your date’s needy behavior without losing yourself and you may begin to feel more comfortable in your relationship (e.g. may not feel the need to run!) AND have enough space to pursue your dreams. Try to respond to “needy” behavior with compassion. Then use it as an opportunity to ask for what it is you need. Evaluate your date or partner’s response. Was she able to hear your needs? Has her behavior settled down because you are now effectively communicating? If not, this is important data to consider about whether the relationship can move forward. Stop the hot-cold behavior and recognize that only effective communication will stop the roller coaster effect and that she is likely responding to your insecurity about where you want the relationship to go. The key to handling “needy” behavior is in the understanding that “neediness” disappears when someone’s needs are met and it is your responsibility as a partner to make the attempts to meet those needs. So, if you are ready, run towards what you are afraid of, wear your heart on your sleeve and use effective communication to get what you want. You may be surprised by how much freedom you actually have when your partner feels secure enough to let you explore your dreams. This is a post from Jennifer B. Rhodes, Psy.D., Founder and CEO of Rapport, A Boutique Relationships Agency, LLC. 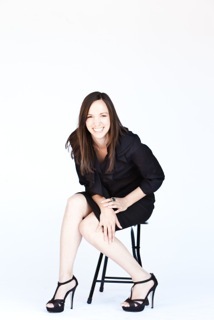 She is a licensed psychologist, dating coach, image consultant, and matchmaker. Dr. Rhodes’ passion for helping adults find and sustain healthy, long lasting relationships developed out of her private practice where she has helped many divorced couples successfully move on to healthy co-parenting relationships and lay the foundation for new romantic relationships to develop. Dr. Rhodes currently provides dating coaching, consultation and matchmaking services utilizing relationship science and Positive Psychology Coaching research to encourage singles to make more informed dating choices. In addition to her psychology credentials, Dr. Rhodes has completed matchmaking training with the Matchmaking Institute in New York.